Reliance Jute Mills (International) Ltd . owns the Reliance Jute Mills situated at Bhatpara, on the bank of the river Hooghly in West Bengal. This mill was founded way back in the year 1906 and was under British management. It was taken over by the Kanoria family during the year 1963.It is being run for the past thirty years under the stewardship of Mr. P.K. Kanoria, who is the Chairman of the company and has vast industrial experience. The present annual turnover of the company is approximately over 115 crores or about U.S.D. 25 million, of which exports constitute 31%. The approach of the management has always been to achieve excellence and concrete steps have been consistently taken for the efficient maintenance of plant and machinery and also for its upgradation and modernization. Progressive R&D measures have always been taken towards this goal. 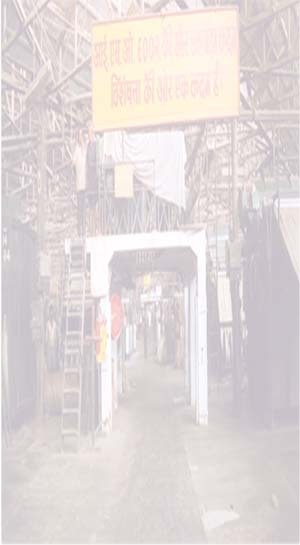 Reliance Jute Mills (International )Ltd is one of the pioneers of non traditional goods such as Decorative Fabrics and Jute Yarn, both ideally suited for high quality export markets. In addition to this, other new areas are FOOD GRADE JUTE PRODUCTS (HYDROCARBON FREE) and "GEO- TEXTILES or SOIL SAVERS. The Company has thus won recognition for its excellence in quality and accordingly been given an ISO 9002 certification. The companys philosophy has always been to attain perfection in quality as well as maintain and follow delivery schedules so as to ensure complete customer satisfaction.